So my running page hasn’t been getting a lot of love lately. And that’s not due to lack of running! In fact. 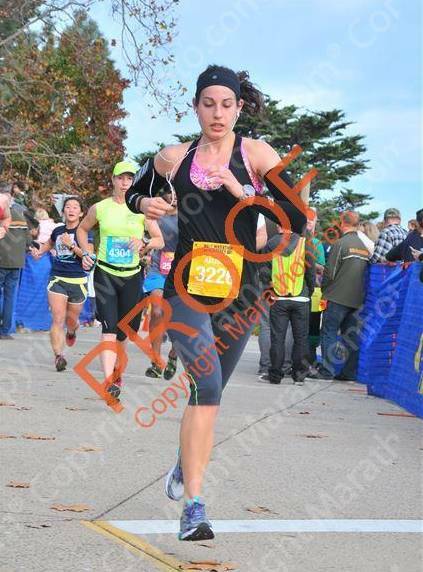 I’ve been running more than ever and ran the Big Sur Half Marathon just over a week ago. I’ve been training pretty hard for this race for the past few months and it’s taken me awhile to put my incredible experience into words. 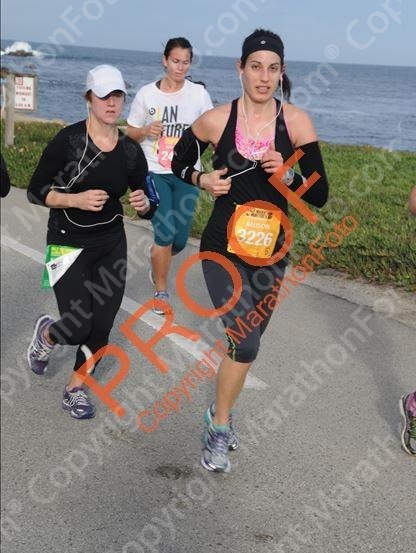 So here’s the Big Sur Half Marathon on Monterey Bay race recap. At the beginning of summer i knew I was ready to train for a race again. 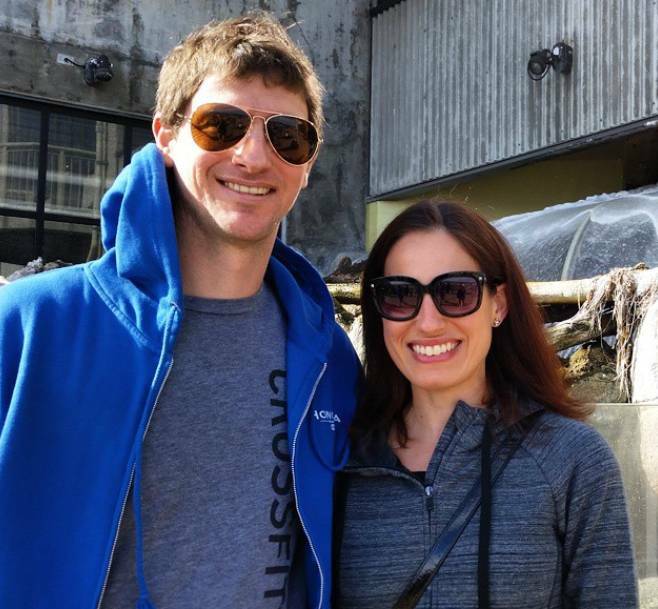 We had gotten through our wedding and honeymoon, and now was the perfect time to dive back into training. Karla had signed up for the Philadelphia Half Marathon that was taking place November 22nd, so the Englishman and I decided to run the Big Sur Half the week before on November 16th. 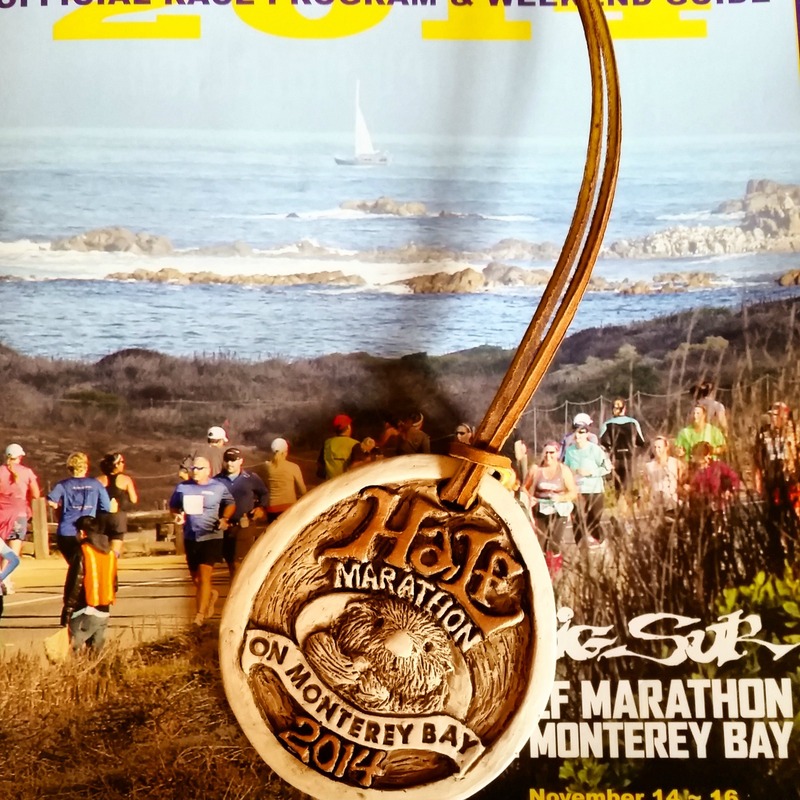 I should preface too that this race does not run through Big Sur, but rather old town Monterey and out along the bay – it’s still a beautiful course, but if you want the sweeping Big Sur views, you need to run that one in April. We drove up to Monterey Bay on Saturday and arrived at the expo around 3pm. I contemplated getting a half marathon sweatshirt, but at $50 a pop, I decided against it. We grabbed our bibs and then headed to our hotel to get settled. I was nervous about the dinner situation since at home my pre-long run dinner had always been pretty textbook: pasta or potatoes + eggs and toast. I found an Italian place a short walk from our hotel and when I called them they said we could just walk in as they weren’t that busy. Only that wasn’t the case. The restaurant was PACKED with an over 2 hr wait. I frantically began searching other places to eat and might have had a small meltdown where I declared that I was going to “poop my pants” during the race tomorrow (which I’m sure my husband appreciated). We ended up at the Sardine Factory which cost an arm and a leg, and I ended up ordering short ribs, mashed potatoes and asparagus. Not ideal, but I figured the potatoes couldn’t do too much damage. Sunday morning we woke up bright and early and were ready to race! The race conditions were perfect – upper 40s at the start and gradually warming into the 50s. I brought a throw away cover up to wear at the start and then wore compression sleeves for a little extra warmth. Our hotel was about a mile from the start so we walked over there to warm up and loosen our legs a bit. Soon enough we were placed in our corral, I gave the Englishman one last kiss goodbye and we were off. I was running my 2nd half marathon! 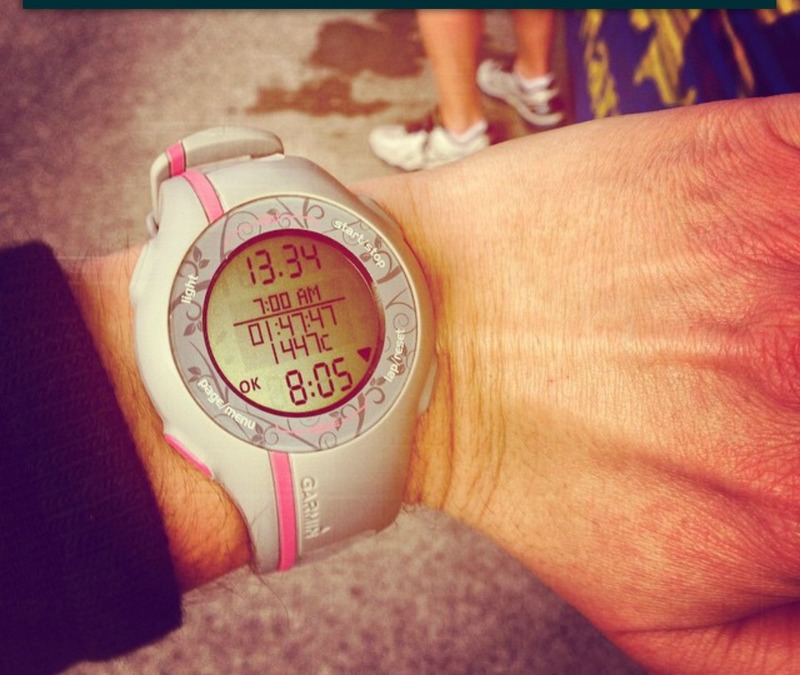 My main goal for this race was to break two hours, but my “A” goal was to go sub-1:55. Based on my training, I figured I could do it, and the plan was to stick in 8:45 min mile range and progressively get faster. 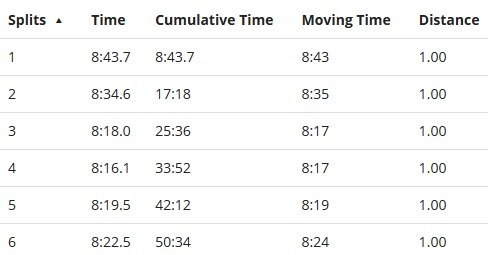 Well I started the race a bit faster than intended but my legs were feeling great so the first 6 miles were more in the 8:15-8:30 range, as evidenced by my splits below. The course had rolling hills with one big incline on mile 4, but since I had been training on hills all summer and fall they didn’t phase me at all. In fact, I found myself passing people on hills more often than not. We weaved through Pacific Grove and then found ourselves along the coastline which was beautiful. Nothing beats the sound of splashing waves while you are running. This was before I began to throw down the gauntlet. I was feeling really good at this point so I started to kick it up a notch. Mile 8 was the turnaround point so I tried to keep my splits as close to 8 minute miles as possible. After the turnaround we started to hit a nasty headwind and I started doing some calculating in my head. If I could pick up the pace a bit, I’d come in under sub-1:50, which was something I never thought was possible. It was around this point I started looking for the Englishman as I knew we would cross paths. Sure enough I saw him, we exchanged high fives and it was just the boost I needed to get through the final miles. I’m not going to lie, those last miles were HARD. We had a strong headwind, my legs were getting tired, and I knew I had to stay under 8 minutes if I wanted to break 1:50. I started thinking about all my friends and family who had sent me good luck wishes before the race (and were subsequently tracking my run). I thought about my running partner in crime Karla who stuck it out with me throughout all of the long runs. I thought about my wonderful husband, the Englishman who put up with me and all my crazy training antics (and who ran the race with me even though long distance isn’t really his thing). I wanted to do this for them, and more importantly, for myself. We finally made our way out of the headwind and headed back down Cannery Row towards the finish line. When I saw the final marker that said 1/4 mile to go I just went for it and sprinted my way across the finish line. It was all such a blur at that point. I looked at my garmin in disbelief, got my medal, and then cried. I could not believe I broke 1:50. The Englishman finished in 2:05, which was a 10 minute PR for him and we made our way through the food tent collecting bananas, apples, cookies and everything else the wonderful race volunteers were handing out. We then hobbled our way back to our room and enjoyed the Sidecar Doughnuts we brought from home as a post-race victory treat. I’m still in shock that I broke 1:50 which is why it’s taken me so long to write this recap. I only really started running in 2009, and even then I never thought I’d ever run a half marathon under 2 hrs, let alone 1:50. I’ll write a separate post on my training and how I prepped for this race, but I truly believe that if you put your mind to something, you can achieve anything. This was a race that I ran with my heart more than my head, and it’s something I’ll cherish forever. If you ever get the chance to run the Big Sur Half Marathon on Monterey Bay, do it! It’s one of the most well-executed races I have ever been to and the course is just stunning. There was a ton of entertainment and crowd support along the course as well which was just icing on the cake. We spent the rest of our day celebrating and checking out the Monterey Bay Aquarium. So what’s next? I currently don’t have any races on the horizon right now and I’m just going to enjoy my PR. BUT now that I’ve had my taste of sub-1:50, sub-1:45 is definitely next. 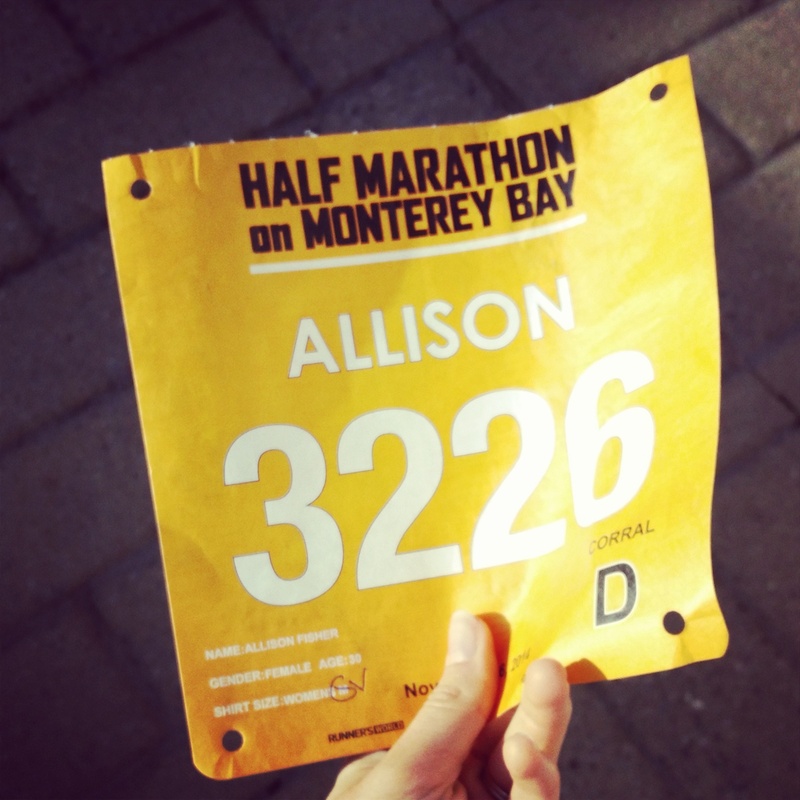 This entry was posted in Running, Travel and tagged half marathon, monterey bay, race recap on November 26, 2014 by allie@sweetpotatobites. I love this post! I was so excited to read your recap, mostly because I’m so proud of you! You did so well and are definitely an inspiration to me and many others! Great job!!! One day I hope we get to run the same race! aww thank you! I had SO MUCH FUN training with you this summer/fall. let’s definitely do a race together, k?